The Duke Children's Gala brings the community together to support the work done by physicians, caretakers, and researchers at Duke Children's, all of whom work tirelessly to heal sick and injured children in our community and around the world. The Gala offers numerous opportunities for your business to show its support of pediatric healthcare and the hope and healing it provides. 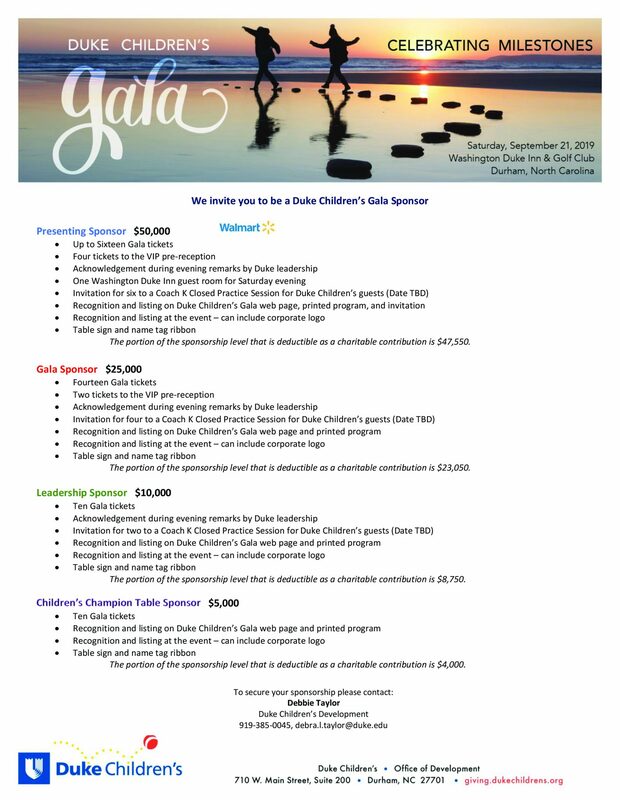 Please see our sponsorship levels in the link below and, if interested, please fill out our sponsorship agreement form and submit it to Debbie Taylor, debra.l.taylor@duke.edu. 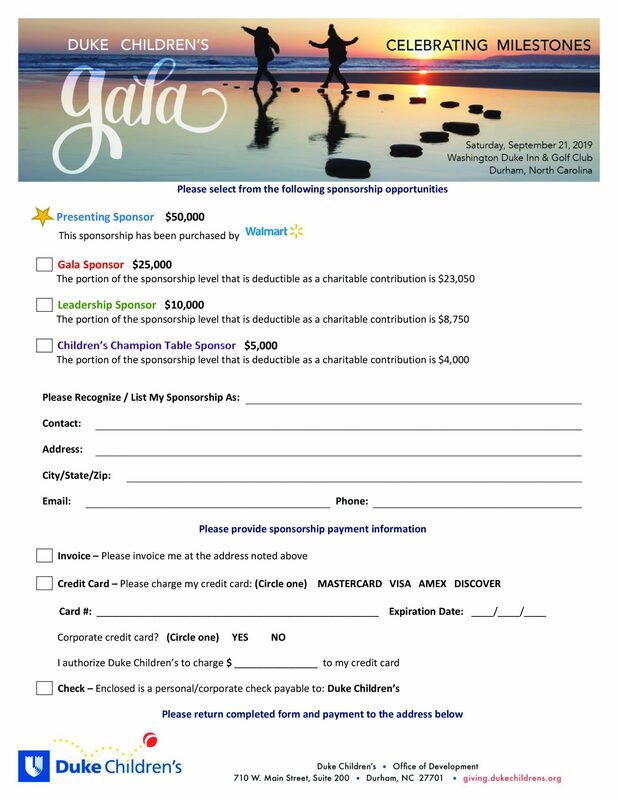 If you have questions about supporting the Duke Children's Gala, contact Debbie Taylor at the email above or at 919-385-0045. Learn more about how you can support the 2019 Duke Children's Gala! Ready to show your commitment? Fill out the attached form and send it to Debbie Taylor.